If you love SEALIFE centres then Atlantis is the ride for you. Perfect to jump on if the weather is a bit rubbish, Atlantis is my son's favourite ride. you jump in (quite literally) a submarine and then go down into an underwater adventure. You get to see a range of sealife and it really is quite magical to swim (sorta) with sharks right next to you. There are a few rides which mean you get seriously wet at LEGOLAND. Unfortunately it was a bit too cold for the outdoor water area to be open but that didn't mean that I didn't get a soaking. For the first time we went down the Raft Racers. 1) I thought I was going to die (seriously it is quite a tame ride. I am just psychotic) and 2) my bum was wet for the rest of the day! Hilarious fun. 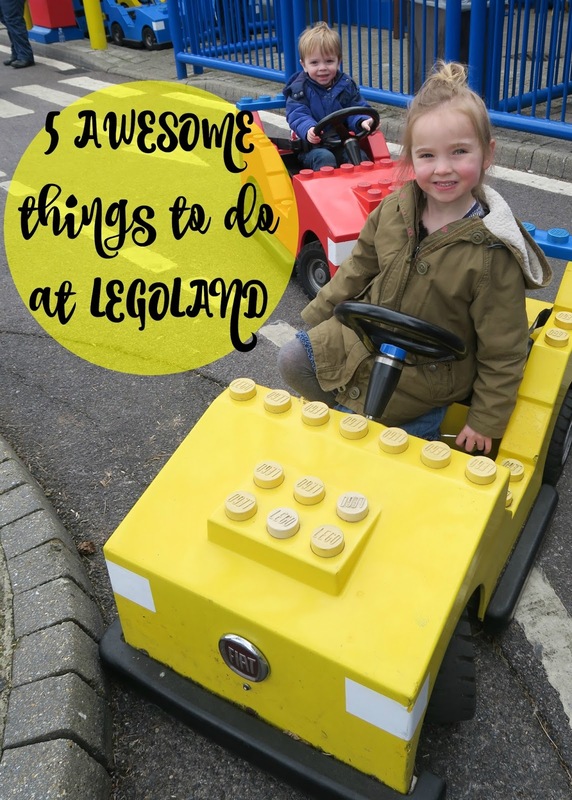 There are loads of great rides to jump on on LEGOLAND and if you are lucky enough to go in term time this means that the queues are relatively small. However if you are there during the school holidays there may be a moment where you need to take a break from the queues and just have a little play. Brickville is a great little playground in the heart of the DUPLO part of the part. My two can easily spend a good hour here whilst we sit down and have a rest. Several times a day you can sit down and watch a brilliant outdoors pirate show. If you have a picnic? Why not pop down a bit earlier, bag a great seat and eat your picnic whilst you wait for the show to begin? It does get quite busy so I would advise going to grab your place a good half hour before the fun begins. We sat in glorious sunshine and my two screamed the loudest! I am a Nanna when it comes to rides. I'm not a huge fan. My husband is the daredevil that will take them on the bigger rides. Fairy Tale Brook? Is my dream. You go on a nice pleasant boat ride and get to see LEGO fairy tales including Snow White and Aladdin. It is the kind of ride I could sit on all day. And the queues? Are generally quite small. 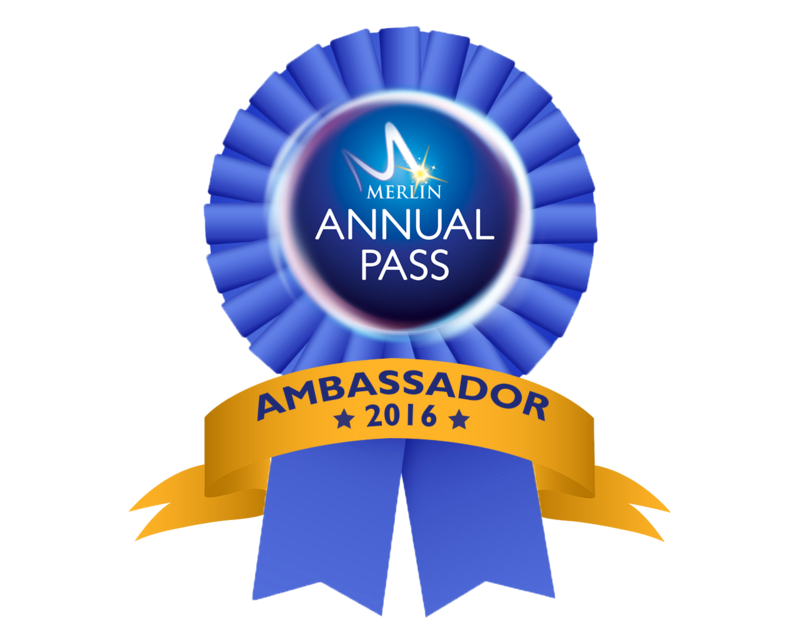 Thanks to Merlin for making this day possible! There are loads of other great things to do including watching the new LEGO Movie 4D adventure, visit the mini LEGO world and spend one bazillion hours walking around the shops with your little one. 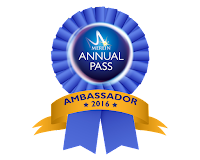 Why not find out more about LEGOLAND Windsor or visit Merlin to discover how you can get into stacks of great themeparks with their annual family pass! Now go and watch a vlog of our LEGOLAND adventures!